A friend and I, whenever we are in the mood for something good to snack on that are both delicious and not too junky, we would head over to our trusty spot – Trader Joe’s. Aside from being a fun place to shop for foods, I like the fact that the store is not too big, which makes it easier and more efficient to find items that I would like to buy. Of course, another big reason for my friend and I to go is the “free coffee” and “free samples”. In my opinion, the coffee, with a choice of fresh cream that is served there tastes much better than some of the famous coffee houses. Let’s start with the decadent “snacks”. My son’s favorite is the super delicious “Crispy Crunchy Chocolate chip Cookies”, mini cookies that not only are filled with loads of tiny chocolate chips but has a exquisite fragrant coconut taste that is not to found elsewhere. Then there are the divine frozen treats such as the “Mini Mint Ice Cream Mouthfuls”, tiny size “Ice Cream cones”, and Ice Cream Mochi, all of which are flavorful, in addition to the sweetness. My favorite is the selections of organic fruits and vegetables. They are reliable and consistently fresh. I especially enjoy the organic cherry tomatoes that are pop-in-your-mouth fresh and perfectly sweet. The last time I was there, there were the most beautiful figs, firm and luscious. The organic apples, bananas, pears are my staples there. The organic Oatmeal here tastes better that the famous Quaker Oats. My son and I prefer the Trader Joe’s O’s cereal over the Cheerios brand. The O’s are puffier and not as brown and hard. I use the Organic Chicken Drumstick to make “Soy Sauce Chicken” for my son which he kindly says is one of the best. The price is relatively non-expensive for $1.99 per lb. The different selections of nuts are quite extensive here with various varieties in either salted, or non-salted. I also found an instant noodle that has no MSG nor any artificial ingredients that my son actually likes. The fresh flowers and plants are always colorful and plentiful. The mini orchid is comparatively cheaper than most places and usually come in a pretty ceramic pot. 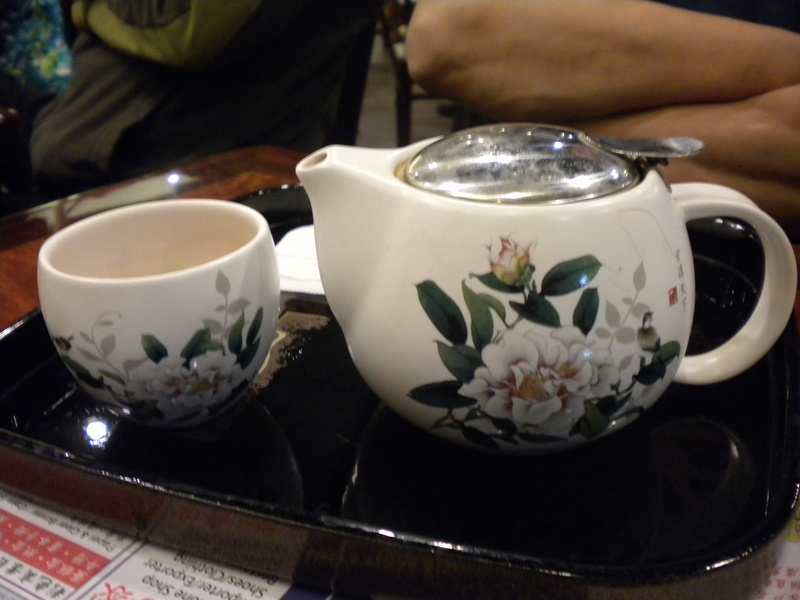 One can also get different varieties of herbs in a pot. My favorite sparkling water so far is the “Blu Italy Sparkling Natural Mineral Water” with a lemon and lime taste, so refreshing with ice. See Trader Joe’s Website for various locations in your area. 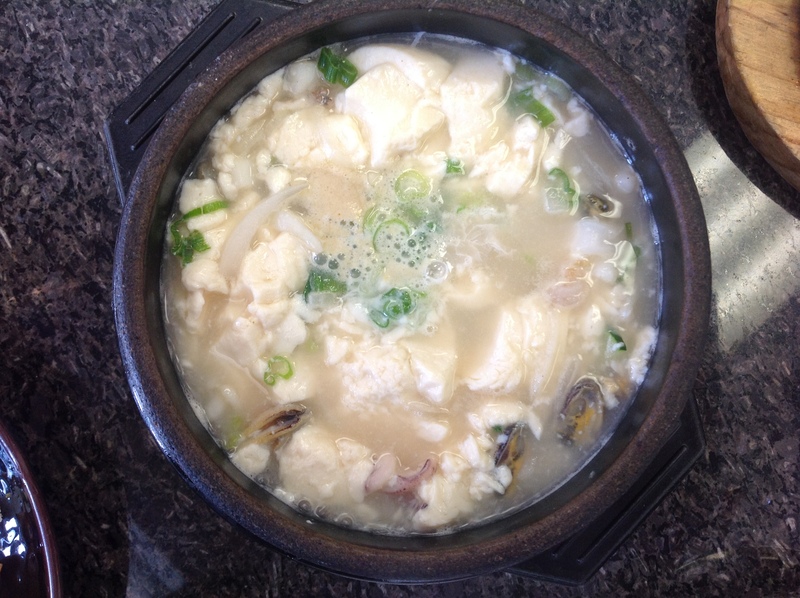 There are quite a few places in the South Bay area that serve this soul warming, tongue burning tofu stew called Soondubu jjigae. 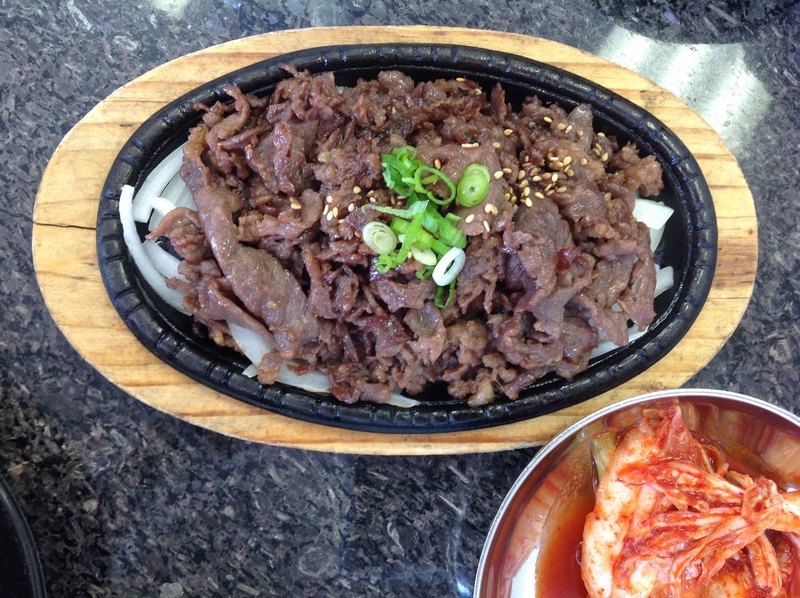 The one we prefer to go to is Cho Dang Tofu. 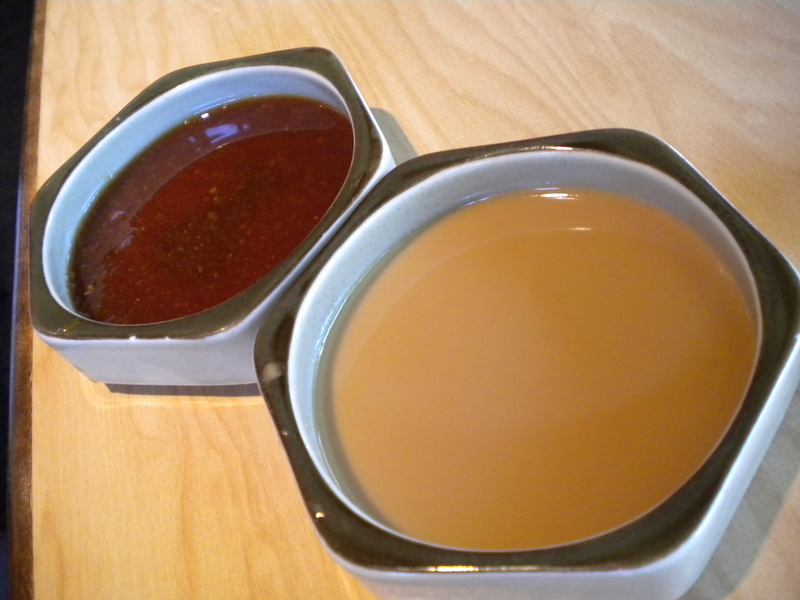 The wonderfully velvety texture of the tofu and the substantial amount that are served are reasons enough to eat there, but the more decisive element here is the banchan (side dishes). The fact that the tofu is silky, smooth, soft should be expected from these tofu houses, but I like that the tofu here comes in bigger blocks, and the amount served seems to be a bit more than other tofu places. I prefer my tofu in larger chunks rather than in small broken pieces. 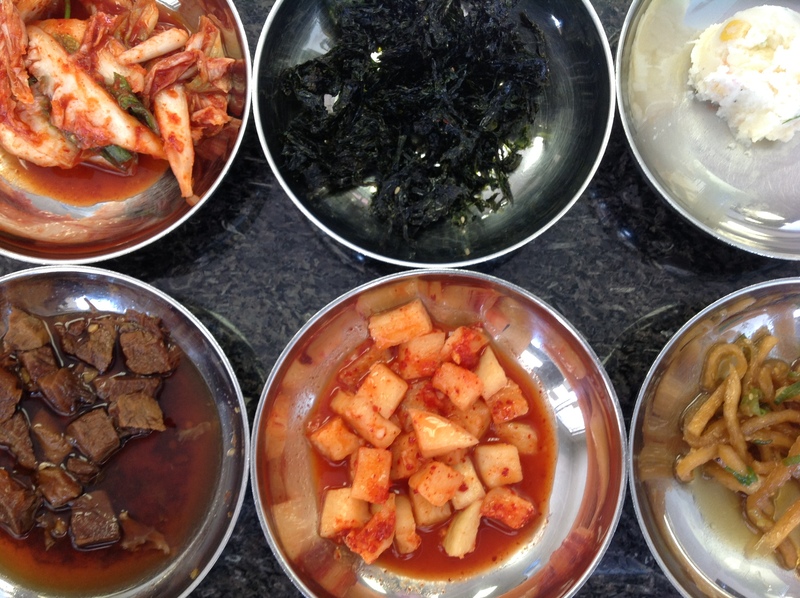 As I mentioned earlier, the key reason why we come here is the banchan. The well-balanced and distinct flavors and consistencies of the side dishes make up for the not-so-plentiful varieties. My son just loves the rectangular nori (dry lavar seaweed), and the mildly marinated bean sprouts. 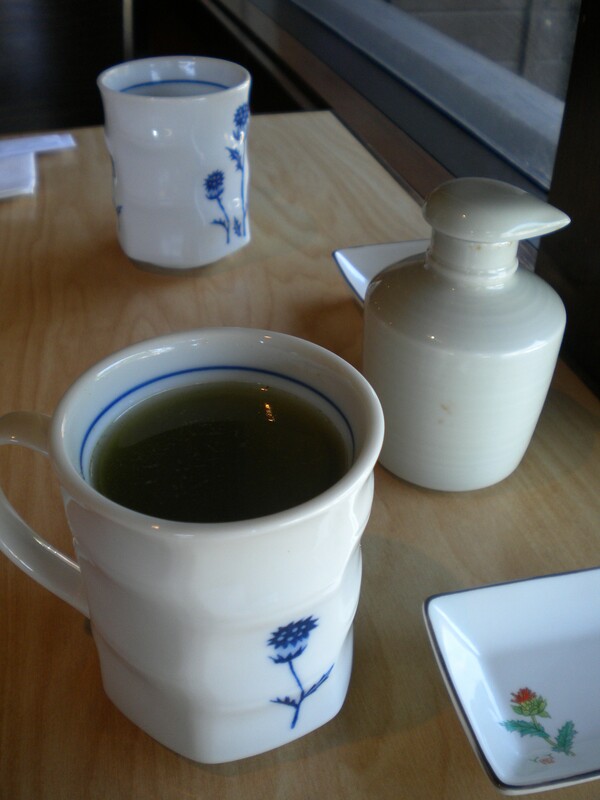 I enjoy the spicy pickled cucumber, and the slightly acidic pickled wakame. We always ask for seconds or thirds of these particular ones, despite the waitresses looking solemn and stoic at times. On this occasion, I ordered the Mushroom Tofu – White (no spiciness whatsoever), while my son had the Beef Tofu – Medium spicy. 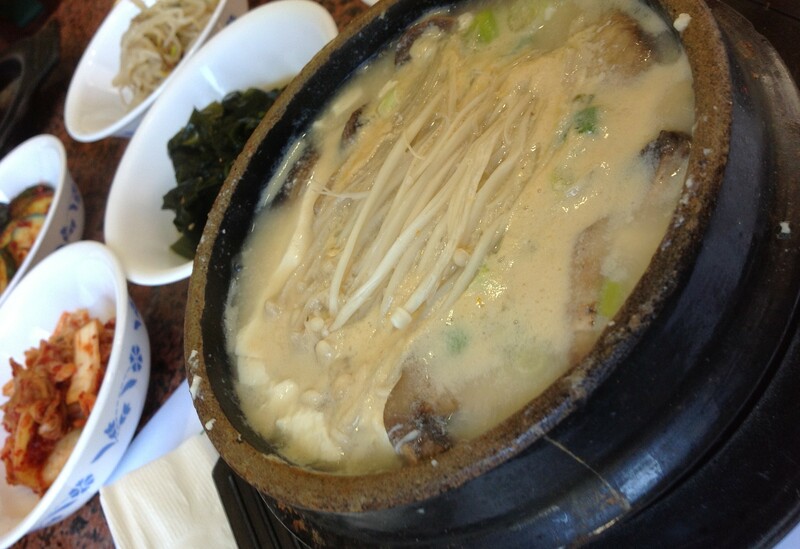 I enjoy the pleasantly soft crunch of the Enoki mushroom floating on top of the tofu. 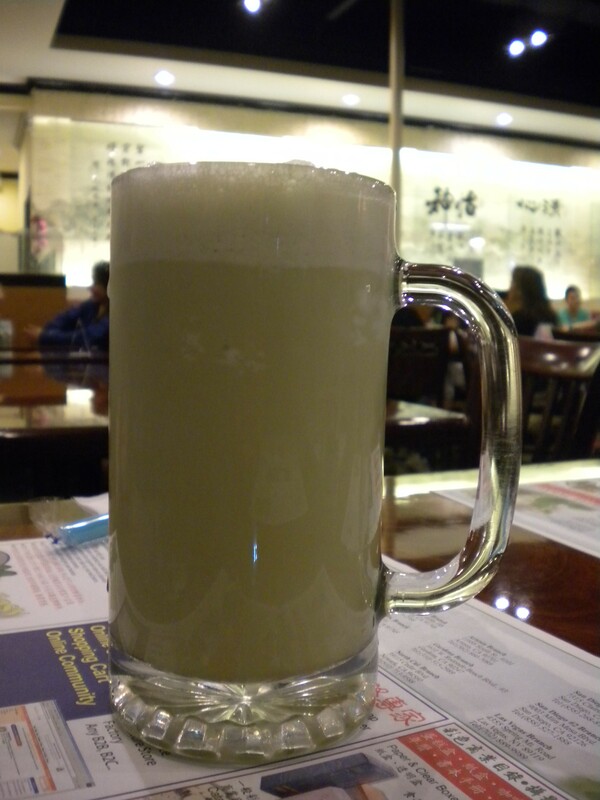 My son, who used to order his tofu white, said that he much prefers the overall taste of the tofu with some spiciness. 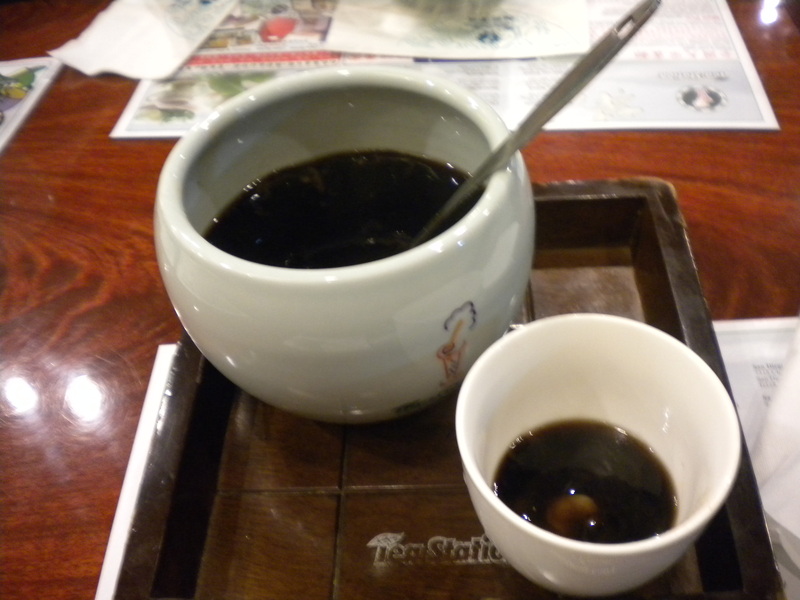 The white rice here is served also in a stone pot like the one with the tofu, so it comes out burning hot. One definitely needs to wait a bit before digging into the piping hot rice. While most of the patrons here scoop the rice out from the hot stone pot to another bowl, I, however, actually prefer to put some of the tofu directly onto the rice in the pot, and eat the rice straight out from the hot pot (very carefully of course). With this method, the hard, crunchy rice next to the metal eventually gets soften up, and I can then scrape it off easily and eat it all without having to put liquid into it at the end. The reason I decided to go to Tasty Choice for lunch was mainly for the Hainan Chicken Rice. 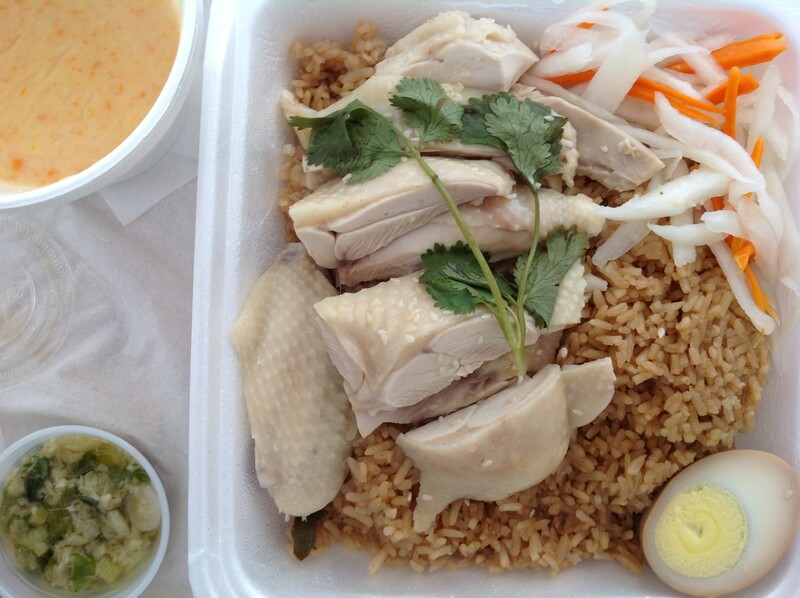 If Savoy is the reigning Queen of Hainan Chicken Rice in the San Gabriel Valley area, then Tasty Choice could well be the King. What is this simple and humble dish called Hainan Chicken? 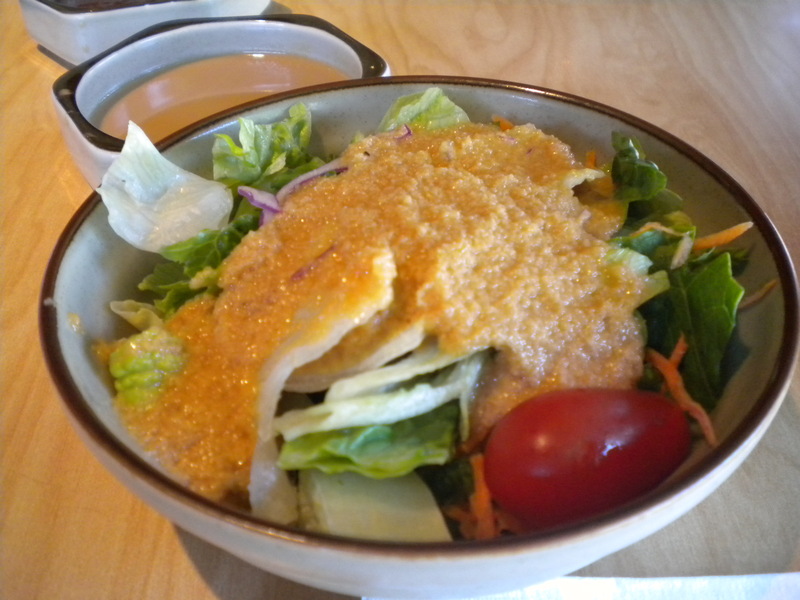 Though the origin of this dish is Chinese, it is often associated with Singaporean, Malaysian, and Hainanese cuisines. The chicken is usually prepared in traditional Hainanese methods which involved steeping the entire chicken at sub-boiling temperature in a pork and chicken bone stock. The stock is not used for rice preparation, but instead a chicken stock is created specifically for that purpose, thus producing an oily, flavorful rice known as “oily rice”. The chicken rice dish was actually not for myself. My son is a big fan of Hainan Chicken Rice, and had been yearning for some, so I decided I would have lunch there and bring back a take-out order for him. I had been getting him the one from Savoy until I tasted the one from Tasty Choice a while back. For about a dollar more, I ordered all dark meat. The chicken was lusciously tender, moist, and full of natural chicken flavor. 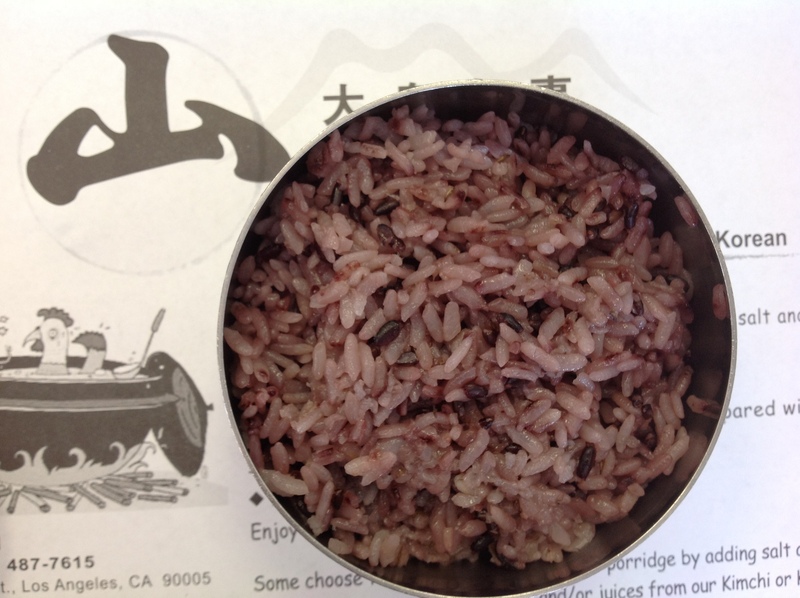 The color of the rice was darker than most places and very fragrant. I like the pickled vegetables on the side to balance out the dish. My son enjoyed the half boiled egg, and did admit that if he was forced to choose, he would favor the chicken rice here. As for myself, I enjoyed the Sole Fillet with Preserved Vegetable. A pan fried sole fillet smothered entirely and generously with dark green mustard green and small slices of shiitake mushrooms in a clear gravy. 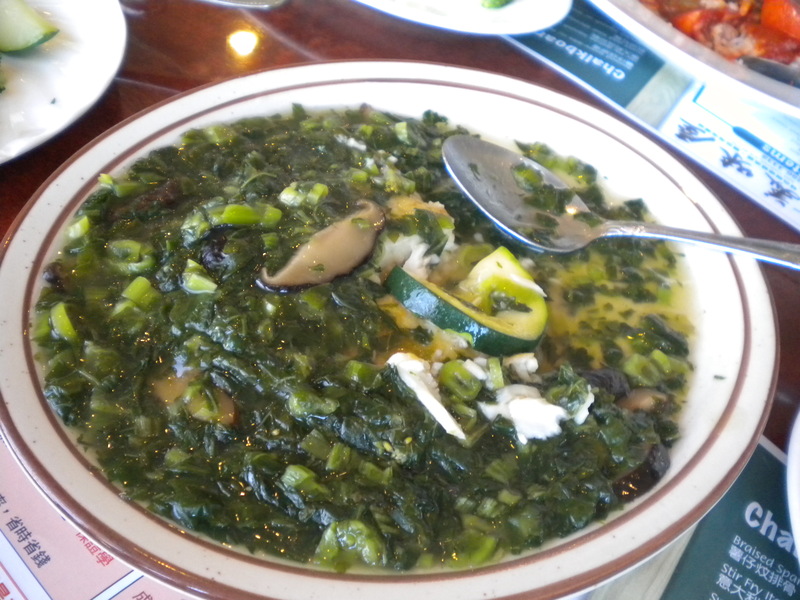 The mustard green is not too salty, and complimented the fish well. The fact that I can order mixed vegetables instead of rice to go with my dish is definitely a bonus. My eating companion ordered the simple but satisfying Tomato Beef Rice. 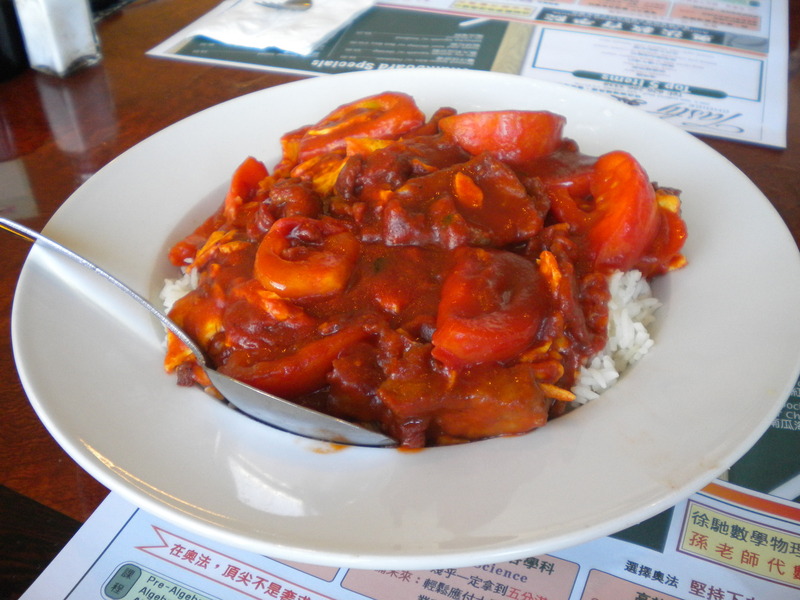 After trying a bit, I thought it had a more intense, deeper and a more robust tomato flavor than other places, with the beef slices being tender and smooth. The lunch comes with a choice of hot or cold Lemon tea, Milk tea or Coffee and soup of the day, which was a extra thick creamy vegetable soup that I thought was rather excellent. “In about five minutes”, the lady behind the counter replied. I was relieved that it was only five minutes, I was fearing that it would be much longer, and I would not be able to wait. I took the time to really look around at all the selections this time, since I was always in a hurry all the previous times I was there. Po Tart is a Portuguese Egg Tart which consists of custard in a créme brûlée-like consistency caramelized in a puff pastry shell. 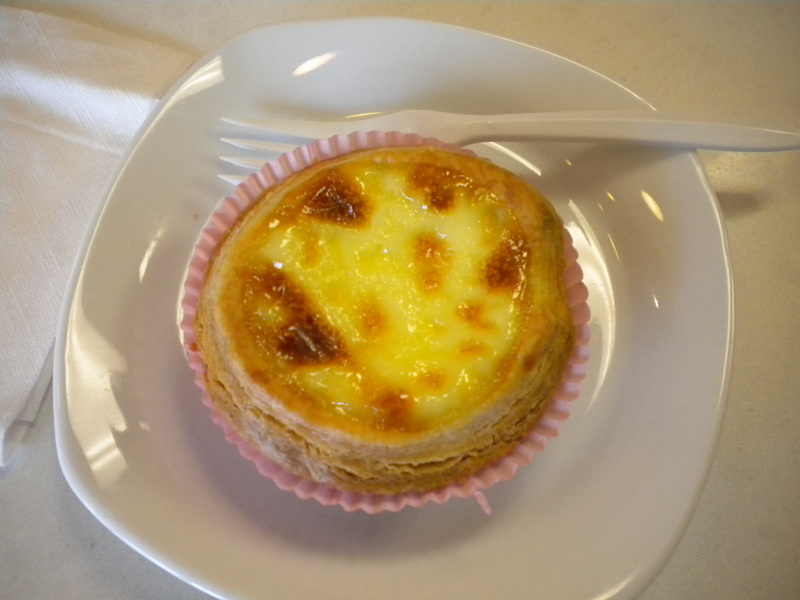 The custard portion is much more softer, fluffier, and smoother than a regular Egg Tart. “It is ready, how many would you like? “Just one, I just have a craving for it, and I want to eat it right now”, I said to her in Chinese. I gathered that she thought I was going to buy quite a few since I had waited so patiently. Boy, was I glad that I waited – the Po Tart could not have been any more more fresh. The gal had to go into the kitchen to get one for me. It literally came right out from the oven. It was super, intensely hot, I almost burned my tongue with the first bite. I had to keep blowing at it continuously in order to get it to be less than burning temperature so that I could put it in my mouth. Only one word can describe it – perfection. Being that the Po Tart was still so scaldingly hot, the texture of the custard was extraordinarily creamy, delicate and jiggly. With the prick of the plastic fork, the tart was starting to fall apart. The puff pastry crust was incredibly light and airy, and complemented the custard flawlessly. The other favorite here is the Coffee Milk Powder Bun. The moist, yet faintingly crusty, ever so slight crunchy topping has the strongest and best coffee flavor out of all the various coffee buns that I have tasted so far. The milk powder filling has a hint of savory and sweet taste, and a fine granular, gritty texture that I personally find very addictive together with the softness of the bread. 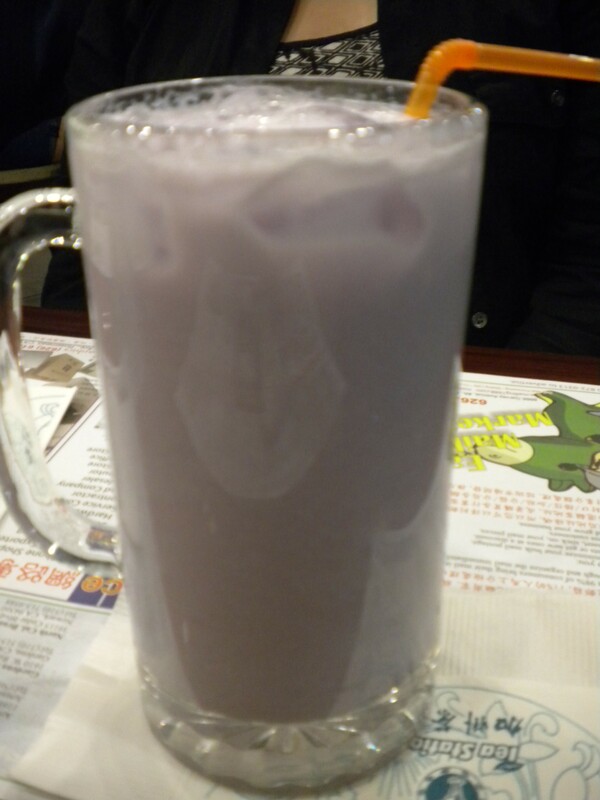 The purple Taro Pastry is worth mentioning. 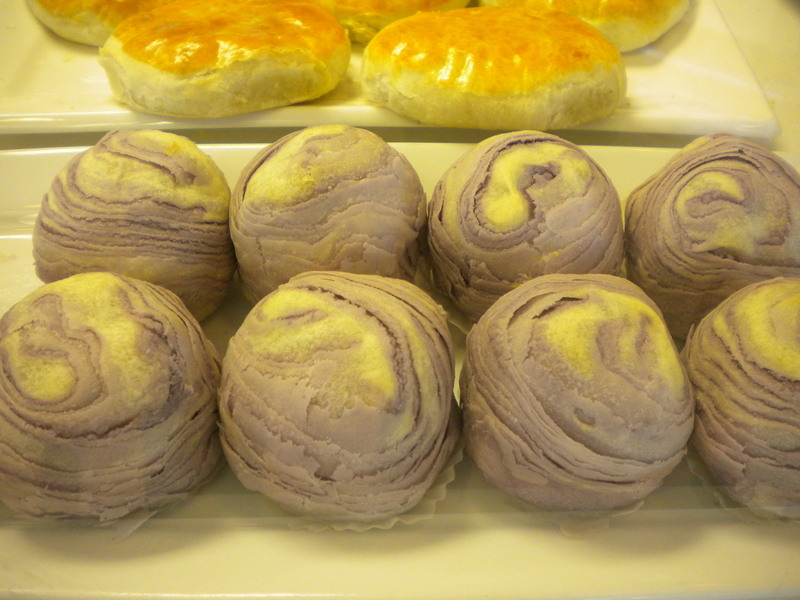 The not-so-sweet, dense taro filling is wrapped inside layers of ultra-thin marbled pastry dough. It is a heavier type of pastry that I definitely cannot finish the entire in one sitting. 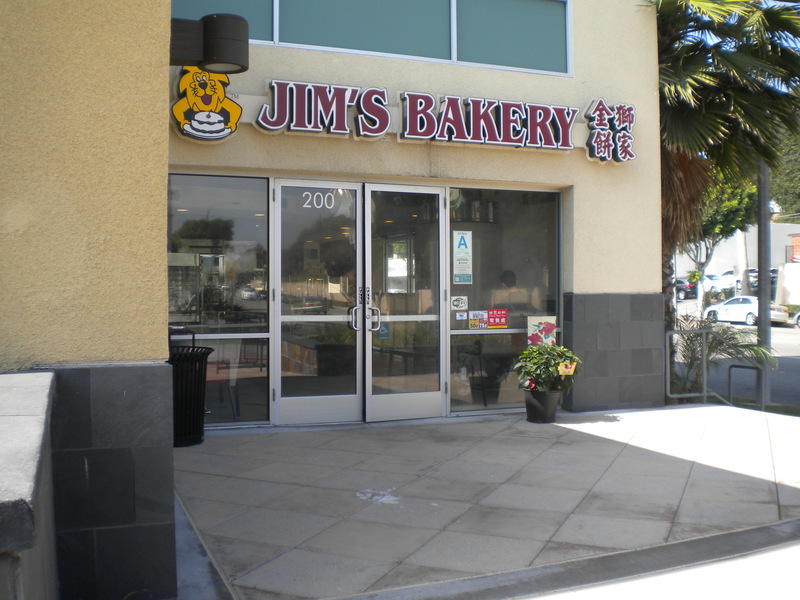 Jim’s has a special, for $2, one can choose from either the coffee, or hot chocolate and a choice of Egg Tart, Po Tart, or Pineapple Bun. Too bad I don’t live closer. “Let’s go to Moo’s”, I said to my son the other day. He was a bit reluctant, but accepted the offer since the restaurant was rather close to our home, and he doesn’t like long car rides. 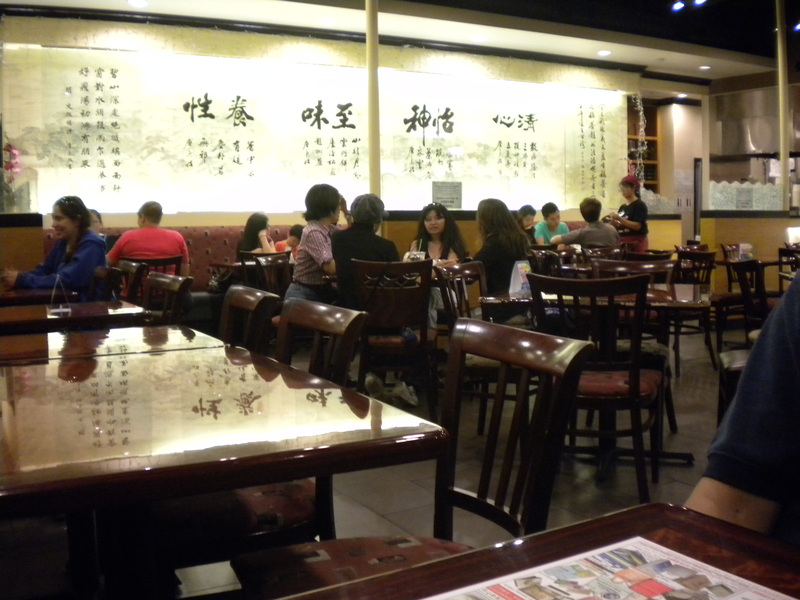 Not a stranger to this restaurant at all, I have been going there and getting take-outs for over ten years already. However, I have not been back for quite some time with my son, so he has forgotten what the food was like. I must admit that the restaurant itself looks a bit run down, and the setting and decor inside leave much to be desired. 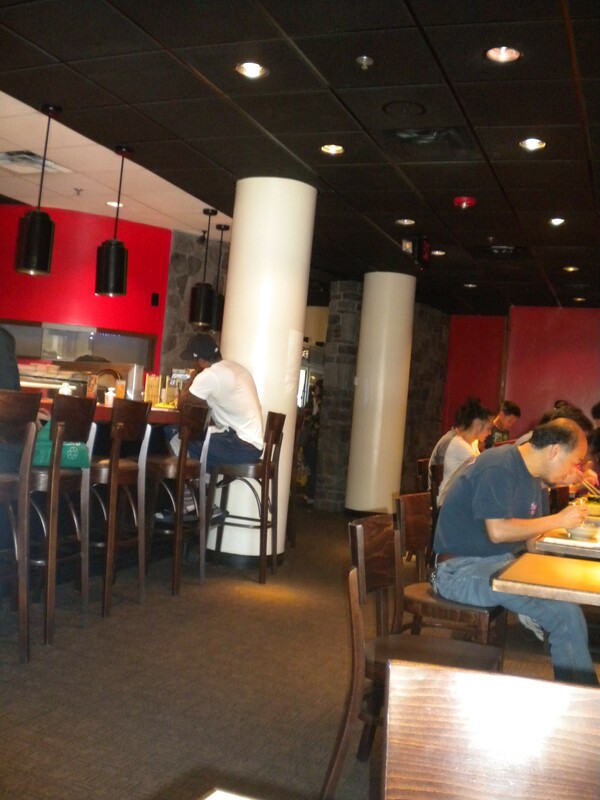 The owners are Chinese, but had lived in Korea, so the food is Chinese but Korean influenced. The dish that I have been getting over and over again for so many years is the “Steamed Fish Dumplings”. The lady owner once told me that they would buy the fish fresh and make the dumplings each day. I like the fact that there are twelve dumplings to an order. 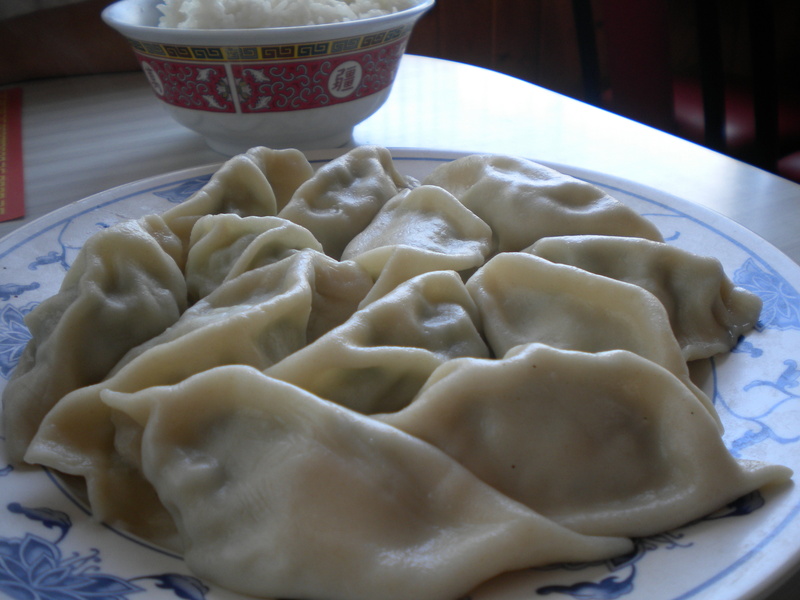 The fish taste is delicate and fresh, and the texture of the whole dumpling is very soft, smooth and light. With some vinegar and the addition of the kimchee that came with the meal, I can probably finish the entire portion if I had wanted to. I cannot even count how many times I had ordered the dish as takeout when I wanted some comfort food that is not greasy nor oily. The other favorite here is the Jajangmyeon, a thick handmade noodle smothered with a dark soybean paste, with diced pork and onions. When I tried this noodle for the first time, I had expected a very strong, salty taste because of the very dark color of the sauce. 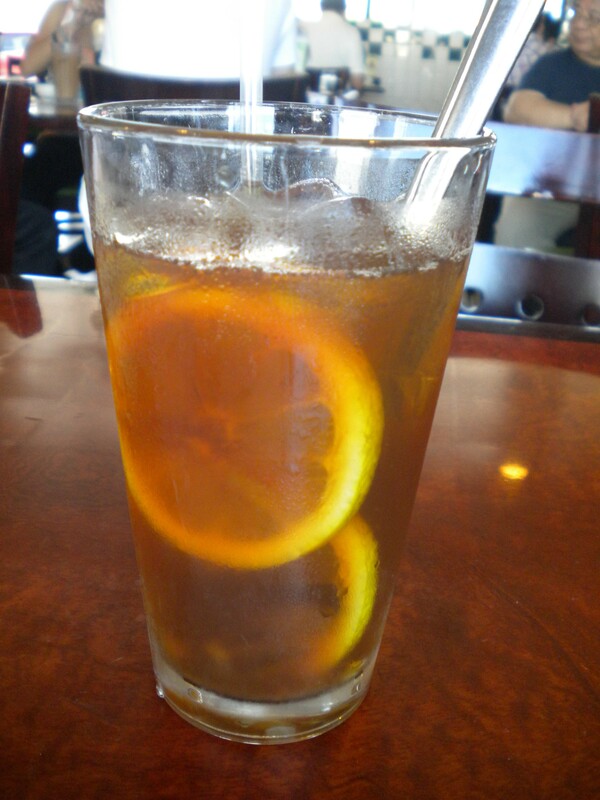 I was surprised to find that the taste was actually relatively mild and not at all overpowering. With the pleasant chewiness of the noodle, the dish is delightful and can be rather addictive. Chow Ma Mien or Chow Ma Mien with Seafood are large bowls of soup noodle served either with pork, onions and vegetables or with various seafood over the handmade noodles. The heartiness of the pork or seafood mixtures with the hot soup and noodle can be so satisfying and comforting on a cold evening. As we were leaving the restaurant that day, my son agreed that food was actually “pretty good”. If it wasn’t for the fact that my friend had gotten a special deal through Travelzoo, I probably would not have tried this particular restaurant. To tell the truth, I was a bit hesitant and anxious about the food not being as good as the deal sounded, since just the Prime Filet on the regular the menu cost $45 already, and the deal was $69 for two people, with choices of two appetizers and two entrées, and a dessert. 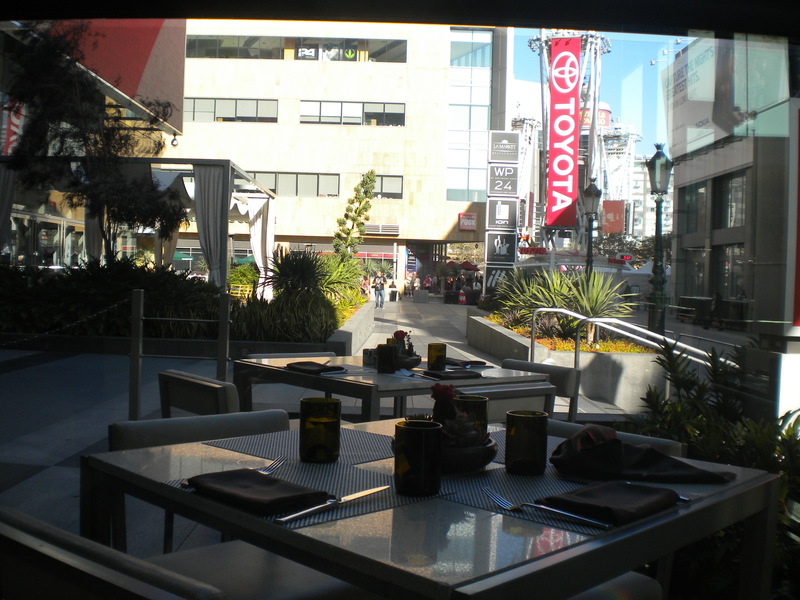 The restaurant is located in the lobby area inside the JW Marriotts in downtown Los Angeles, just a few steps from the Staples Center. I was concerned about the parking, but being that it was a Sunday, l decided that I should just circle the surrounding blocks for street parking. Reluctantly, I gave up after three times around the blocks, and pulled into the hotel driveway for the valet. 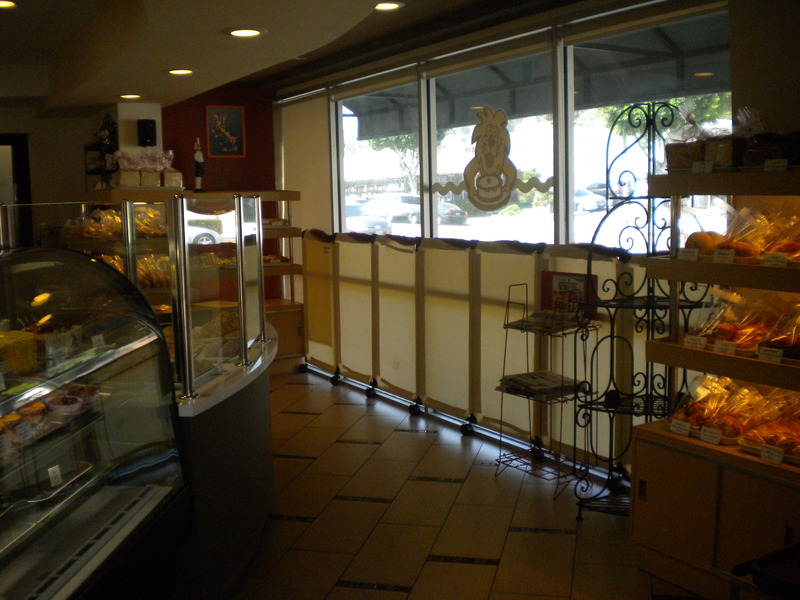 We were seated right at the corner with huge windows all around, which provided a busy view of passersby. I did not realize that this area was so popular with so many tourists. The décor of the restaurant, being a part of the hotel lobby, was comfortably modern, with very airy and open spaces, which enabled me to truly relax. I almost felt like I was on vacation elsewhere. 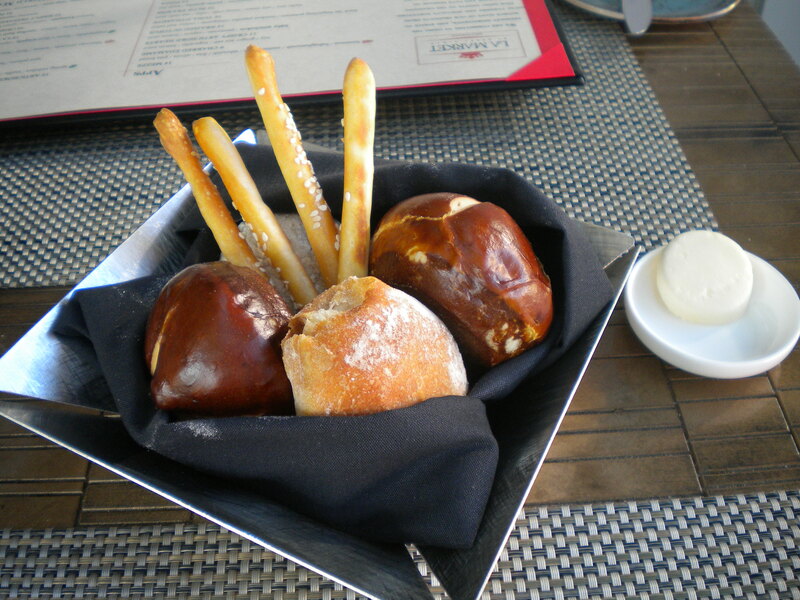 Out of the three varieties of bread that were served, I thought the Pretzel roll had the most flavor and was still warm and soft. The Tuna Dynamite – raw tuna sandwiched between two layers of sushi rice, with a generous amount of real crab meat on top was a good size appetizer. The real crab meat tasted fresh and was especially welcoming with the little bit of tobiko (flying fish roe). 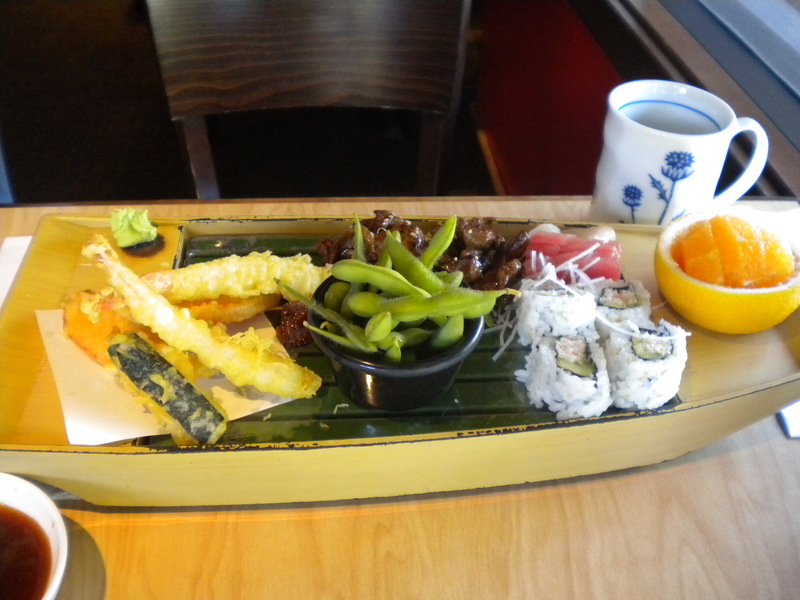 It virtually seemed as if I was eating a gigantic sushi. 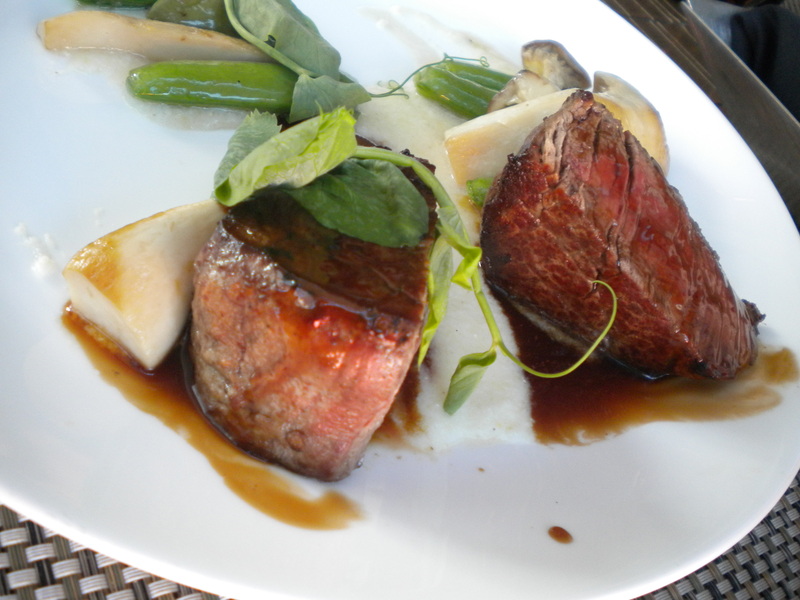 The Prime Filet arrived with slices of cepes mushroom, and the sweetest sugar snap peas. I asked for medium, and it was perfectly so. The meat surprised me. 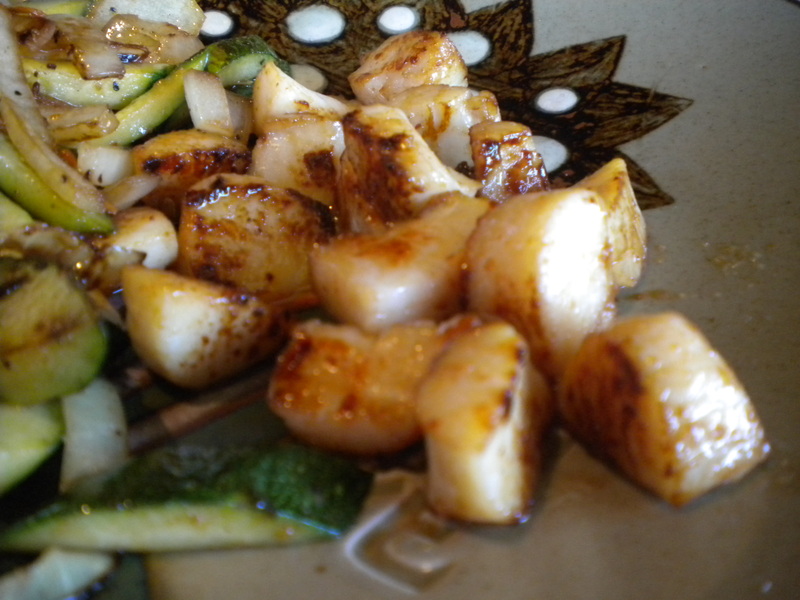 It was amazingly and remarkably tender and juicy. It rivalled, if not exceeded some of the best steakhouses in LA. The dessert “The Junk Food Platter”, indisputably lived up to its name. 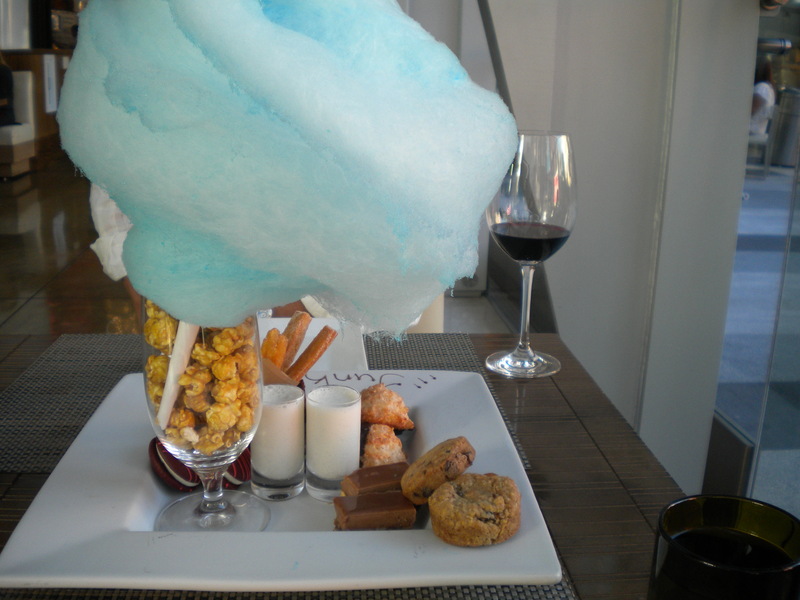 It was a giant platter filled with “Junk Food” such as baby churros, red velvet whoopie pies, snickers cake, banana Nutella macaroons, brownies, cookies, and a humongous, jaw-dropping blue color cotton candy sitting in a jar of caramel popcorn. The other patrons around us were staring and marvelling at this “Unnatural Wonder”. Needless to say we could not and did not want to finish the masterpiece. We were only too happy to give away the cotton candy and the caramel corn to the table next to us, and to watch with contentment as they blissfully finished every morsel.